All money raised from the run will be split between Ashfords' charity of the year, Mind, and ECFC Football in the Community. This year is no exception, with a high demand for places from both individuals and groups for the race which is being held on Sunday 6 December. The route which starts and finishes at Haven Quay Exeter follows a flat, traffic free route beside the beautiful River Exe. 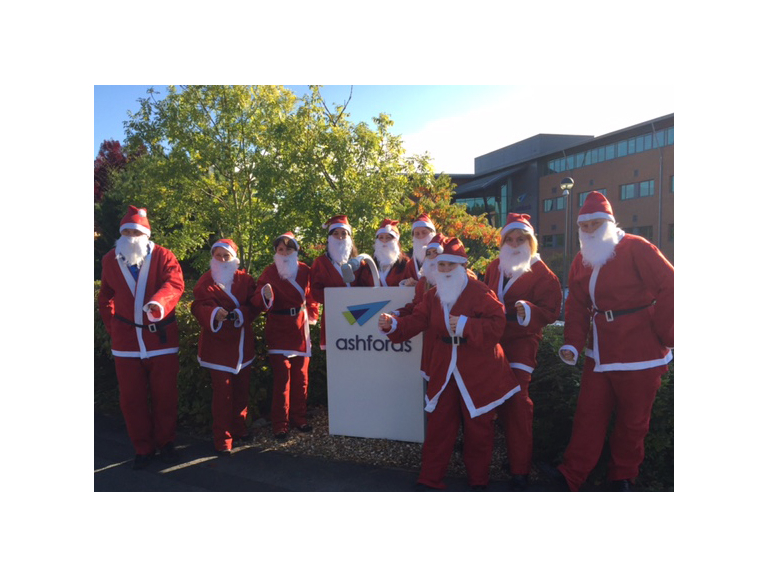 "We are delighted to be sponsoring this year's Santa Run with Exeter City Football Club, Football in the Community reflecting our commitment to the local community as part of the firm's CSR offering. All money raised will support such great charities, including our own, and we are looking forward to seeing everyone in their Santa suits." For entries please visit http://www.exetercityfitc.co.uk/blog/2015/09/17/santa-run-2015 or pick up an entry form from Exeter City FC main reception. All entrants will be receive a Santa suit, and a medal on completion of the race. The Christmas Fun will be starting at 09.45am, and runners, their supporters and spectators will be assured of a warm festive welcome. For further information please contact Peter Ferlie. Tel. 01392 255611 or email peter.ferlie@exetercityfc.co.uk.